Entrepreneur, Founder of a Women empowering movement. Hedonist and in search of positivism, her passion is creation and her life mission is transmitting Positivism. 1 ripe peeled and roughly mashed Avocado. 1- Combine Buttermilk, with Cottage Cheese, chopped garlic, white vinegar and the Queso Fresco in a small bowl; set aside. 2- Combine paprika and next 6 ingredients in a large zip-top plastic bag. Add shrimp to bag; seal and shake well. Remove shrimp. 3- Heat a grill pan over high heat. Coat pan with cooking spray. Add shrimp; cook 2 minutes per side or until done. 4- Working with 1 tortilla at a time, heat tortillas over medium-high heat directly on the eye of a burner for about 15 seconds on each side or until lightly charred. 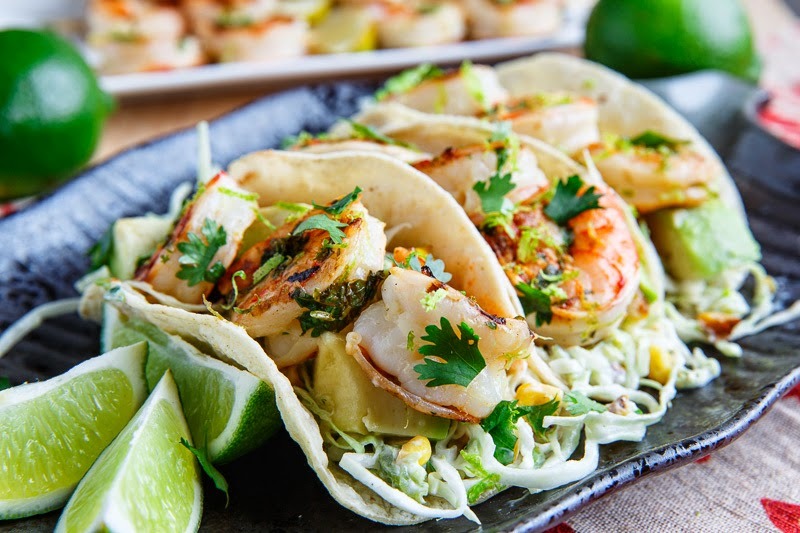 5- Divide shrimp evenly among tortillas; divide tomato, avocado, and sauce evenly among tacos.